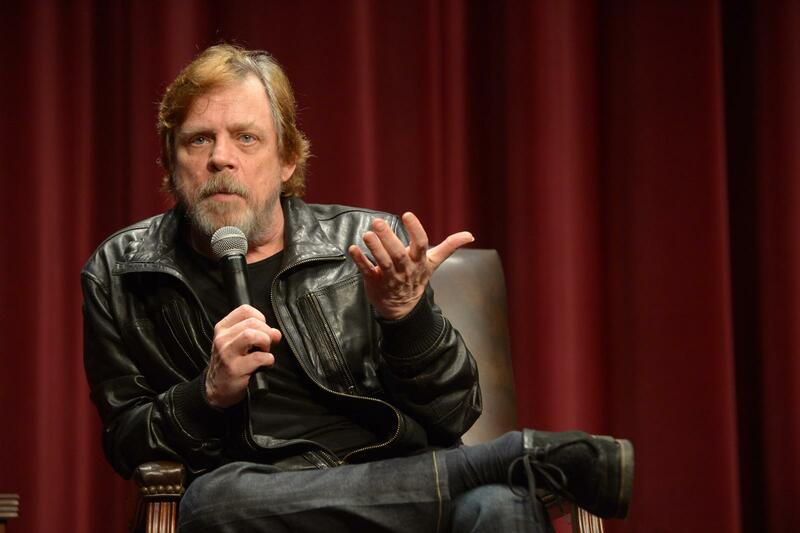 Mark Hamill gave a master class to students at Norris Theater on April 16. The School of Cinematic Arts hosted the event along with the School of Dramatic Arts, bringing together students from both disciplines to learn from the Jedi Master himself. The conversation about filmmaking, acting, and life was moderated by David Bridel, Dean of the School of Dramatic Arts and accomplished director and playwright. Like the Stormtroopers who make appearances every so often, Hamill has become a kind of local at USC Cinema. He graced Norris’ stage last year as a special guest at Professor Drew Casper’s undergraduate course, The Star Wars Phenomenon, where he spoke about his experiences starring in the legendary films. This year Hamill was eager to provide guidance for the aspiring filmmakers and actors trying to break into the industry. The conversation began with Hamill’s early days in Hollywood, when he was studying theater at Los Angeles City College while auditioning for acting gigs. He emphasized to students the importance of getting experience, even from places you might not expect. One of his first jobs was on a soap opera; he cackled, “I hated soap operas. I only watched soap operas to mock them openly.” Despite his initial dislike and fears of the show, Hamill learned many values lessons from working on the fast-paced television set with talented fellow actors. “The experience that the actors had and the fact you could learn your technique, how to find the light, how to hit your mark without looking down, was invaluable,” Hamill recalled. It was this experience, knowledge, and confidence which helped him succeed in bigger productions. Even when college threatened acting opportunities, Hamill didn’t drop out and persisted under the heavy hand of his theater professors. His training in theater disciplined him as an actor and taught Hamill to delve into his characters, which was important when he auditioned for the part of Luke Skywalker. Through professors and fellow students, Hamill was cast in small theater shows in Los Angeles that gave him visibility and connections to managers, agents, and directors. From these small parts in television, commercials, and films, Hamill received his SAG card, which was essential to getting auditions for big movies. Hamill admits vehemently trying to avoid being type-casted, but after seeing the joy Carrie Fisher had with embarrassing her public persona as Princess Leia Hamill eventually learned to love being Luke Skywalker. “When I saw how much she was having fun…I realized she is right, that if you can’t have fun being in a movie that is that optimistic, that positive, and has brought so many people so much happiness…then this is the wrong industry for you.” He admitted to students how hard the entertainment industry can be and how much rejection you will have to deal with. Hamill explained that you really have to love the craft to make it in Hollywood.